2016 was probably one of the best years of Cristiano Ronaldo in terms of football accomplishments as the Portuguese attacker lifted the Ballon d´Or as well as the La Liga and the UEFA Champions League pieces of silverware. For decade, there has always been a debate involving Lionel Messi and Cristiano Ronaldo as to who is the overall better player. There are some seasons when the Argentine star of Barcelona wins more competitions with his team but in 2016, it was C.Ronaldo who came out on top with more titles added to his collection. During the 2016 summer transfer window, rumors began to spread around suggesting that Kylian Mbappe or another youngster would be signed by Real Madrid and eventually go on to replace C.Ronaldo but the Portuguese superstar has recently stated that he wants to continue adding more pieces of silverware to his collection. At the age of 32, the star of Real Madrid has no desire of slowing down by any means as his intentions is to win more and from the looks of it, not leave the Spanish club anytime soon. Real Madrid say they are in full support of their star player over tax evasion claims. 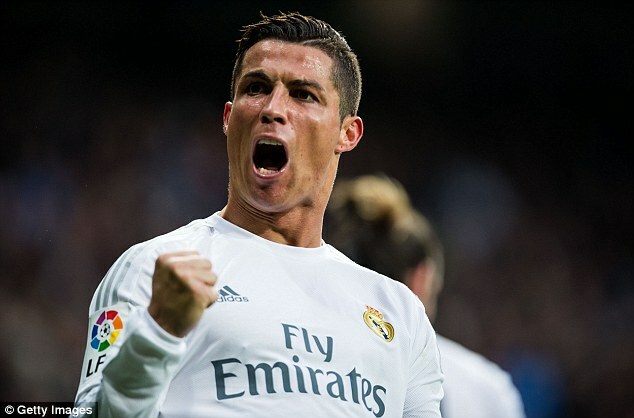 There are reports that the Portuguese star defrauded the tax authorities in Spain of £12.9 million. The regional state prosecutor is threatening to arraign the highest paid player in the world on four counts of tax fraud. The player and his reps have denied such claims. Real Madrid have joined in to stand by the player as the media trial goes rife especially after his rival Lionel Messi was found guilty of the same offence. 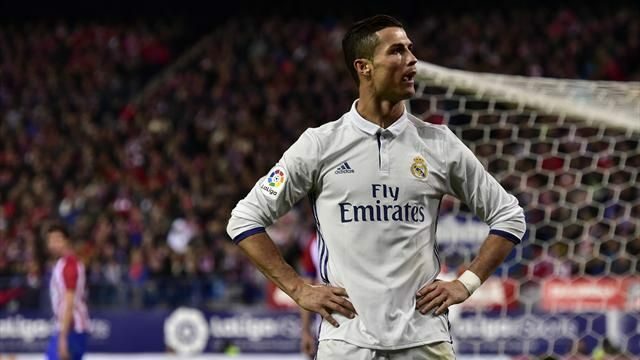 “Real Madrid CF shows their full confidence in our player Cristiano Ronaldo, who we understand has acted in accordance with the legality regarding compliance with their tax obligations. Cristiano Ronaldo has always shown since his arrival at Real Madrid CF, in July 2009, a clear will to fulfil all his tax obligations,” the statement from the club read. The club adds that it is “absolutely convinced” that the player would prove his innocence. The club says it hopes justice would be meted out quickly so his innocence is proven. For the longest of time, Real Madrid has been linked with various highly-rated goal-keepers including the likes of: ThibautCourtois and David de Gea, those 2 players are the ones that have been most consistently rumored to join Real Madrid and David de Gea was even on the verge of becoming a player of the Spanish club but the transfer ultimately crashed due to some documents not being delivered to FIFA in time or at least this is what it’s believed to be why David de Gea’s transfer from Manchester United to Real Madrid could not be completed. In the absence of David de Gea, the Costa Rican shot-stopper KeylorNavas has proved his worth and demonstrated that he can stand his own and be the undisputed main shot-stopper of Real Madrid and after helping the Spanish club in their milestone of not losing for 40 straight games. Real Madrid surpassed the record that Barcelona had of 39 games being unbeaten by reaching the 40 games mark and KeylorNavas played a huge role in this achievement. Dortmund forward Pierre-Emerick Aubameyang has refused to rule out a move to Spanish giant Real Madrid. The player has even revealed a link to his family, fuelling speculation that a move could happen next summer. The African star added that he would not be very disappointed if the move does not finally happen. “Real has a close connection with my family. The media is doing too much. It’s a childhood dream. But, as I always said, I play at Dortmund and I’m glad to be here and it’s really good for me. “And I don’t even know if Madrid really wants me. If Real comes one day, then that’s good. Otherwise, life goes on. This is not a problem,” Aubameyang reportedly told beIN Sports. Also, the player confirmed that French giant Paris St Germain have been in contact with him. Real Madrid superstar Gareth Bale said that the team would have to improve in both attack and defence after their disappointing result against Legia Warsaw in a Group F Champions League encounter. The forward scored the match opener in the first minute and Karim Benzema got the second. Madrid seemed set for maximum points. Madrid had thumped the side 5-1 earlier in Spain, and Borussia Dortmund had defeated the same side 6-0. However, the Polish side scored three goals to make it 3-2. Vadis Odjidja-Ofoe, Miroslav Radovic and Thibault Moulin were the players that recorded their names on the goal sheet. Mateo Kovacic got the equalizer for the Spanish side; else, it would have been a bad result for Madrid. “We need to be better defensively, and more clinical with the chances we create,” Bale said. “We just need to learn from the mistakes we made. We must take the positives, learn from this and be stronger from it,” Bale said to BeIn Sports after the game. The home team did not have their fans cheering them to victory as incidents involving the team’s ultras ensured their prohibition. Just the fans of the La Liga side were on the pitch, and it was a small contingent. “It was a strange game, especially with the stadium. That’s no excuse, though. We’re not happy with the result, we need to learn from this and bounce back stronger,” Bale added. Zinedine Zidane says that he is calm about the injury crisis currently affecting the Real Madrid team. The recent injuries to Marcelo and Casemiro mean that the Madrid are going through a crisis at the back. Centre back Pepe has also been out for a considerable amount of time. He suffered the injury while playing against Espanyol. Casemiro may be out for a considerable amount of time after having fractured his fibula. Marcelo is suffering from calf muscle strain and is unlikely to make it to the game this weekend. The injury situation is especially difficult for Zidane considering that he had just now welcomed Cristiano Ronaldo and Gareth Bale back into the first-team. Both players were involved in the final of the Euro 2016 and were not involved in pre-season due to injuries and tiredness. Despite the issues, Madrid have made a great start to the campaign after dropping only two points in the opening five games. This coupled with Barcelona’s shock losses mean that Madrid have emerged as early leaders in the La Liga title race. Zidane managed to win the Champions League title in his first season at the club, but he faces the biggest objective of reclaiming the league title from the hands of Barcelona. Portuguese captain Cristiano Ronaldo, who was injured in the final of the Euro 2016, has returned to training with his club Real Madrid ahead of the start of the new campaign. Ronaldo played in the final against host France after seeing off their Welsh opposition in the semi final stage. The three-time FIFA Ballon d’Or winner was roughly tackled by Dimitri Payet, and he picked up a knock on his knee/thigh. He stayed out through the game but returned at the start of the extra time and supported the team to glory. The injury was believed could take as much as eight weeks for the 31-year old player to return to full action. However, the player was pictured in the training camp of Real Madrid just a month out from the injury, meaning he was ahead of the schedule. He was welcomed by his club and country team mate Pepe at Ciudad Real Madrid on the outskirts of the country capital. He wasn’t in action when Madrid narrowly piped 3-2 Sevilla to the UEFA Super cup title on Tuesday. Sevilla were almost crowned European Champions being that they were Europa League winners after trouncing Liverpool last term, but a late goal from Sergio Ramos pushed the game beyond regular time where Dani Carvajal scored a stunning solo effort. Every club is now in the race to shuffle its line of players. Real Madrid is no different as it is looking for new faces to bring into the team so that the different weak points can be strengthened ahead of the new season starting off at full steam. One of the players the club had targeted was Paul Pogba. However the club has removed their interest in the player, allowing Man United to bid for him at Real Madrid has removed their interest due to financial constraints. With the financial strength that United has, they definitely stand at an advantage in gaining this player as compared to Real Madrid. The Pogba’s agent is now at an advantage to negotiate the perfect deal for the player as Real and United have both expressed their interest in the player. The basic fee for the player stands at £85m. This is the basic transfer fee, but it can go up to £105m including the agent’s fee as well as bonuses and add on based on the success that the club has seen along with that of the player. The player’s contract would be additional which will exceed an amount of £65m. The basic salary that would be paid to the player would amount to £250,000 every week in a deal of five years. 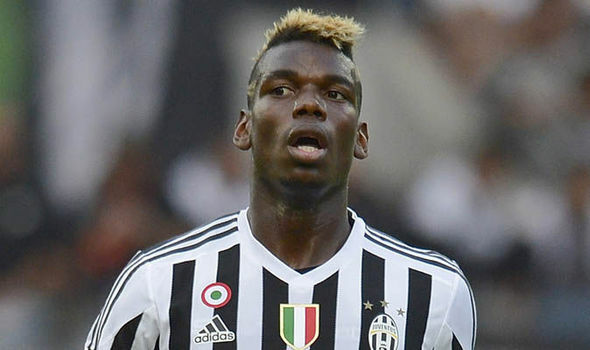 There are media reports that Real Madrid might be preparing an audacious bid of £95m in order to secure the signing of France and Juventus midfielder Paul Pogba. After an impressive campaign in Serie A as well as the Champions League, the French midfielder has caught the eyes of many European clubs. Many pundits have stated that Paul Pogba might be one of the star players of the Euros, and Real Madrid will be keen to secure the signing of the player during the summer. It is believed that the Spanish team might also be offering midfielder Isco so as to sweeten the deal. However, many Premier League clubs are also interested in the player. Indeed, clubs such as Manchester City and Chelsea are keen to strengthen their squad as they seek to build a team that will allow them to challenge for not only the Premier League but also the Champions League. Paul Pogba has however indicated that he might prefer to move to La Liga instead of a return to the Premier League. Indeed, he was a former Manchester United player before leaving the club as an unsettled youngster. Real Madrid will be hoping that the player will find it attractive to work under French manager Zinedine Zidane in order to secure his signing. Real Madrid coach Zinedine Zidane conceded Barcelona are deserved La Liga champions after losing out to their arch-rivals by one point as the Catalan giant won their last match by 3-0 courtesy of a Suarez hat trick. Real Madrid won their last 12 league games, but Barcelona ended with five victories in a row after a blip in April saw their lead over Real closed from 10 points. “We’re all disappointed, but with 38 matchdays played, we can’t change anything now,” said Zidane, who has won 21 of his 26 games in charge. “It was a deserved title which shows that the team knows how to bounce back from a bad spell.